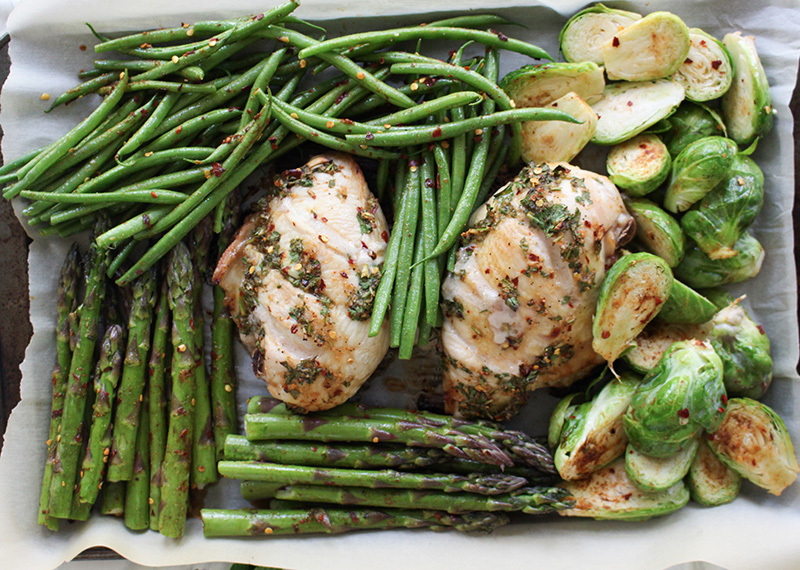 This is a simple one baking sheet dinner that can feed a crowd. One pan, less clean up sounds like a win! Feel free to mix up the vegetable as well if you have some different ones on hand, you could do onions, zucchini or even mushrooms. 1. Preheat oven 200°C | 400°F. Line a baking sheet with foil or parchment paper and spray with nonstick cooking oil spray. 2. Arrange the chicken on a plate or tray. Combine together the lemon juice, honey, soy sauce, garlic, half of the parsley, salt and pepper. Pour the honey lemon mixture over the chicken. Arrange the lemon slices over the top. Season with extra salt and pepper, if desired. Let the chicken marinate for 30 minutes. 3. 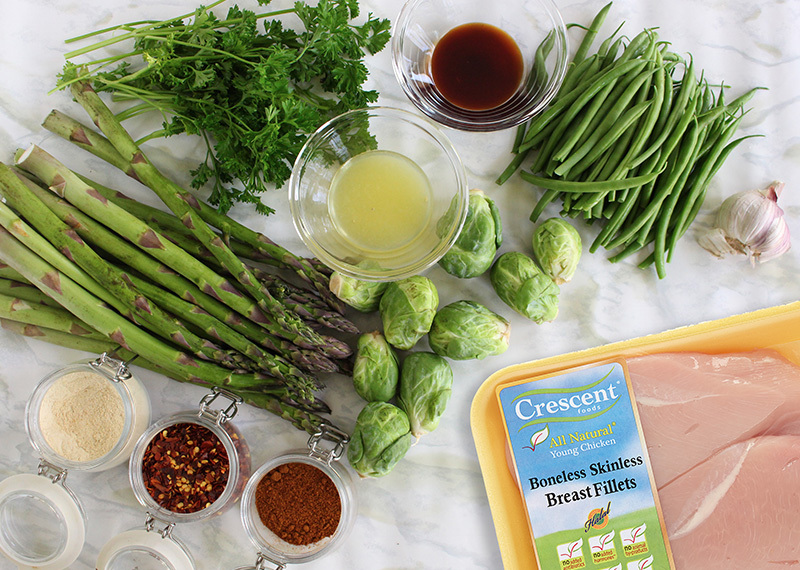 Wash and prep the asparagus, green beans and brussel sprouts, place in a large bowl and coat with garlic powder and paprika. sprouts around the chicken. Return to the oven to grill or broil until the chicken is golden and the vegetables are cooked. Garnish with the remaining parsley. 5. Serve with a side of rice or potatoes.